bring into the world works of art that will have a significant impact on the broad as well as the artistic culture of our society” with the presentation of the 2016 Prize in Visual Art to Coco Fusco, presently the Andrew Banks Endowed Professor of Art at the University of Florida. bring into the world works of art that will have a significant impact on the broad as well as the artistic culture of our society” with the presentation of the 2016 Prize in Visual Art to Coco Fusco, presently the Andrew Banks Endowed Professor of Art at the University of Florida. As Debbi Benedict mentioned, Hank Willis Thomaswill be the keynote speaker. Co-chairs Beverly Bartner and Renee Hamad are planning a beautiful setting and a delicious dinner with choices of roasted Chateau of Beef over Truffle Scalloped Potatoes or Pan Seared Shrimp with Capers, Mushrooms & Sun-dried Tomatoes. Yum! This promises to be an evening you won’t want to miss, so please respond promptly when you receive the invitation or make your reservations now at www.greenfieldprize.org. We are so pleased to recognize our sponsors as of February 15th: GOLD UNDERWRITERS Beverly and Robert Bartner, Renee Hamad, Hillary Steele. SILVER SPONSORS Gulf Coast Community Foundation, Charlotte and Charles Perret, The John & Mable Ringling Museum of Art, Ina Schnell. BENEFACTORS Deborah and Walton Beacham, Carol White and Larry Bold, B.J. Creighton, Carole Crosby and Larry Wickless, Kay Delaney and Murray Bring, Bobbi and Will Lorry, Nancy Markle, Anna Nekoranec, Carol Phillips, Betty Schoenbaum, Judy Zuckerberg and George Kole, WUSF. EXCLUSIVE MAGAZINE SPONSOR Sarasota Magazine. Thank you! PADDLE RAISE FOR PLANTS AND LIGHTS! Work is underway to implement many of the projects funded by our generous supporters at the Paddle Raise at the Artful Lobster last November. The biggest and most needed improvement is the new path lighting along the shell path between the historic campus and the Palm House. Designed with the sea turtles in mind, low-voltage LED lights now make it a much safer and more enjoyable stroll. Come check it out at one of our evening programs. 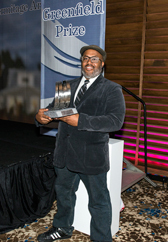 Trenton Doyle Hancock was selected to receive the 2013 Greenfield Prize at the Hermitage Artist Retreat. Why Trenton? To get to the answer, let me backtrack to the founding of the prize for a minute. The prize was created by Bob Greenfield and me over the summer of 2008. Funded by the Greenfield Foundation, now of Philadelphia, the prize was the vision of Bob, patriarch of the Foundation. I got to work with his vision, and translate it into practical terms and scale it to a level that it would meet the goals of the prize. In going through some old emails, I came across this one from Bob about the goal of the prize. 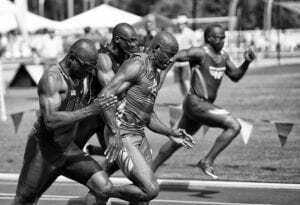 An artist may merit our support simply on the basis of his/her ability to create a work of artistic merit, even though not socially significant, or of social significance even though short of the top in artistic merit. Our objective is impact, artistic, or social, or both. Whether you connect with Trenton’s work or not, it’s work that is powerful in its authenticity. It’s real. And it’s really Trenton. Deeply so. And the work derives its enormous impact from this uniqueness. While we lost Bob Greenfield this year, it’s my job to carry forward the vision along with Joni Greenfield on the Foundation board. Trenton’s work is what Bob was talking about when he wrote “Our objective is impact, artistic, or social, or both.” His work embodies the values that drove Bob to create the prize – work that pushes forward, intrepid, authentic, and fearless. And this is why Trenton is the right choice for the 2013 Greenfield Prize at the Hermitage Artist Retreat. 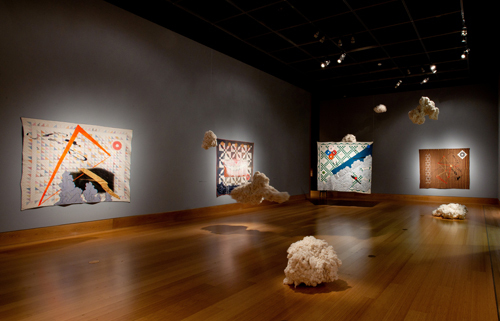 The Hermitage Artist Retreat and the Greenfield Foundation are pleased to announce that Sanford Biggers, 2010 Winner of the Greenfield Prize and its first visual art recipient, has installed his commission at The John and Mable Ringling Museum of Art in Sarasota, FL. The exhibition Codex will be on display until October 14, 2012. The exhibit was inspired by Harriet Tubman and quilts used to signify safe houses along the underground railway. Clouds, stars and constellations are interspersed throughout the work, symbolic of those used by slaves as they found their way to freedom. The Greenfield Prize was established in 2009 by longtime Sarasota residents Bob and Louise Greenfield through the Philadelphia-based Greenfield Foundation. The prize is a means by which a groundbreaking, enduring work of art will be created by a commissioned artist within two years of receiving the award. According to Bob Greenfield, “the intention of the Greenfield Prize is to bring into the world works of art that will have a significant impact on the broad as well as the artistic culture of our society.” Winners are rotated within three disciplines: theater, music, and visual art. The Prize consists of a $30,000 commission of an original work of art, a residency at the Hermitage, and a partnership with a professional arts organization to develop the work and assistance in moving the work forward into the American arts world. A distinguished seven-person panel consisting of some of the most highly respected authorities in American art select each Greenfield Prize recipient. Three voting members on each jury are joined by a producing partner representative, Joni Greenfield of the Greenfield Foundation, Hermitage Greenfield Prize Director Patricia Caswell and Hermitage Executive Director Bruce E. Rodgers who facilitates. Jury for the Biggers selection included Chair Dan Cameron, chief curator Orange County Museum of Art, Franklin Sirmans, Los Angeles County Museum of Art (LACMA) curator and artistic director of the Prospect.3 biennial and Heidi Zuckerman Jacobson, Aspen Art Museum CEO, director and chief curator. In addition to Biggers, other prizewinners have been playwrights Craig Lucas (2009) and John Guare (2011), and composers Eve Beglarian (2009) and Vijay Iyer (2012). The Hermitage Artist Retreat and the Greenfield Foundation are proud to announce that Composer-Pianist Vijay Iyer is the winner of the $30,000 Greenfield Prize, awarded this year in the field of music. Iyer will receive the award at a special celebration dinner on April 1, 2012 in Sarasota, FL. Serving on the jury that selected Iyer were Linda Golding, past president of Boosey & Hawkes, Inc. music publishers and founder of The Reservoir; Jennifer Koh, solo violinist and prolific recitalist, and Limor Tomer, general manager of concerts and lectures at the Metropolitan Museum of Art. We are very excited to make this announcement. Since the Prize is awarded in rotation to three different arts disciplines, every year we have the great privilege of working with the top people in whatever field the prize is to be awarded in. Linda, Jennifer and Limor did a wonderful job. We look forward to April 1 when we not only present Vijay with the Prize, but also begin the two-year process of working with him and provide whatever support he needs to realize his commission. Vijay Iyer is a Grammy-nominated composer-pianist who has been described by Pitchford as “one of the most interesting and vital young pianists in jazz today,” by The New Yorker as one of “today’s most important pianists…extravagantly gifted… brilliantly eclectic,” and by Los Angeles Weekly as a “boundless and deeply important young star.” He was voted the 2010 Musician of the Year by the Jazz Journalists Association and named one the 50 most Influential Global Indians” by GQ India. Iyer has released 15 albums, including the Grammy-nominated “Historicity” (2009), which was named #1 Jazz album of the year in the NY Times, LA Times, Chicago Tribune, Detroit Metro Times, NPR, PopMatters.com, Village Voice Jazz Critics Poll and Downbeat International Critics Poll. Among his many awards, Iyer has received the Alpert Award of the Arts and the New York Foundation of the Arts Fellowship. On March 13 Iyer is releasing his new CD titled Accelerando (ACT Music + Vision). In addition to his performing life, he has composed on commission for the Silk Road Ensemble, Brentano String Quartet, American Composer’s Orchestra, Ethel, and filmmakers Bill Morrison (who will be in residence at the Hermitage this spring) and Haile Gerima. The producing partner for this year’s Greenfield Prize winner will be the La Musica International Chamber Music Festival. As producing partner they will be a resource to Mr. Iyer as he completes his commission and they will be premiering the work in the 2014 festival. 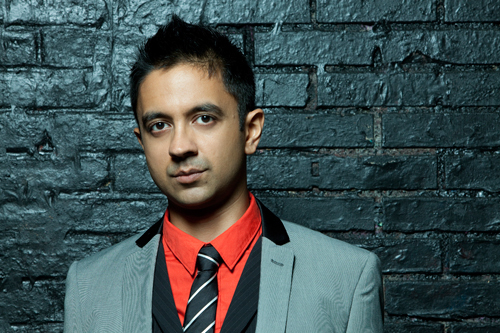 You can find much more information on Vijay Iyer on his website at www.vijay-iyver.com. And you can see Mr. Iyer in concert recorded recently (January 12, 2012) on the National Public Radio site at http://www.npr.org/event/music/144979104/vijay-iyer-trio-live-in-concert?sc=fb&cc=fmp&fb_source=message. This is an exciting weekend at the Hermitage. The Greenfield prize jury comes into town and meets tomorrow morning (January 15th) at the Hermitage to determine the winner of the 2012 Greenfield Prize in Music. This prize includes a $30,000 commission; a residency at the Hermitage; partnership with a professional musical organization to help develop the commission and to give it its first public exposure; and support for other performances nationally to have the work heard by many other audiences. The prize will be formally awarded at a dinner at Michael’s On East on Sunday, April 1st where the special guest speaker, besides the winner, will be the celebrated American conductor Robert Spano, Music Director or the Atlanta Symphony Orchestra, and Music Director of the Aspen Music Festival. Stay tuned for announcements in local and national press about the winner, the prestigious jury who makes the selection, and our producing partner who will work with the winner. The prize has its own website at www.GreenfieldPrize.org. “Two Nights on the River” was inspired by composer Eve Beglarian’s four-month trip by kayak down the Mississippi. On Saturday, March 26 come experience the world premiere of a chamber music composition by the first Greenfield Prize recipient in Music, Eve Beglarian. A renowned composer, Beglarian has been working with musicians from the Sarasota Orchestra to present her original musical piece inspired by a four-month journey she took by kayak down the entire length of the Mississippi River. The performance will be at Holley Hall in the Beatrice Friedman Symphony Center beginning at 8:00 pm. Tickets begin at $15 and can be obtained through the Sarasota Orchestra box office at 941-953-3434. The piece is “Two Nights on the River” in two movements: “Waiting for Billy Floyd” and Early in the Morning. Eve’s inspiration for “Waiting for Billy Floyd” included Eudora Welty’s short story “At the Landing”. In partnership with New College, the Asolo Repertory Theatre, and The Gulf Coast Foundation, the Hermitage presents a screening of “The Theater of War,” a documentary about the making of Bertolt Brecht’s Mother Courage, as produced by NYC’s Public Theater in Central Park. 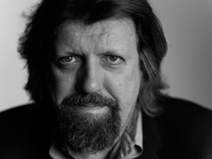 Oskar Eustis, Tony-award winning artistic director for NYC’s Public Theater, will be at the screening to talk about the making of the play, and enter dialogue with the audience. Price: FREE, but reservations are required. Seating is limited. 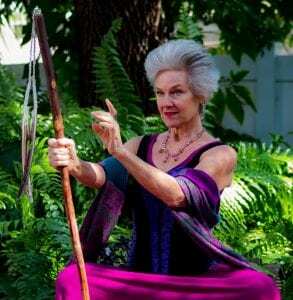 Call the Asolo Theatre reservation line 941-351-9010 x 4710. 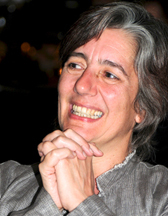 Composer Eve Beglarian, first winner of the 2009 Greenfield Prize in Music, will present a public program at the Historic Asolo Theater on Thursday, March 3 at 7:30 pm. 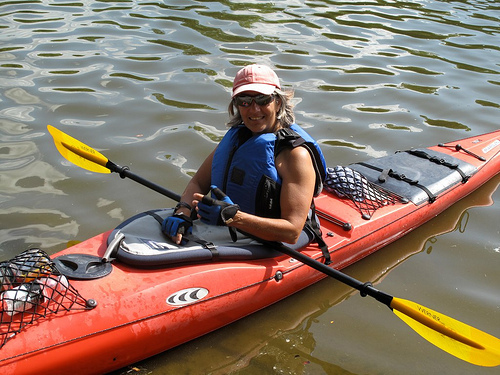 Beglarian will speak about her present projects, including the 2010 River Project when she kayaked down the Mississippi, blogging, composing music and photographing all along the way. Composer Eve Beglarian, first winner of the 2009 Greenfield Prize in Music, will present a public program at the Historic Asolo Theater on Thursday, March 3 at 7:30 pm. Beglarian will speak about her present projects, including the 2010 River Project when she kayaked down the Mississippi, blogging, composing music and photographing all along the way. This unique journey inspired the chamber music Beglarian will present at her world premiere on Saturday, March 26th, being performed by members of the Sarasota Orchestra at Holley Hall. Reservations are suggested. A $5 ticket price covers the costs of the Historic Asolo. Call the theater box office at 941-360-7399. Eve Beglarian is a very special artist and over the past two years, has become a very special friend of the Hermitage. Her musical compositions come from a very personal place and are unique and refreshing. We first met her when she received the Greenfield Prize in 2009. 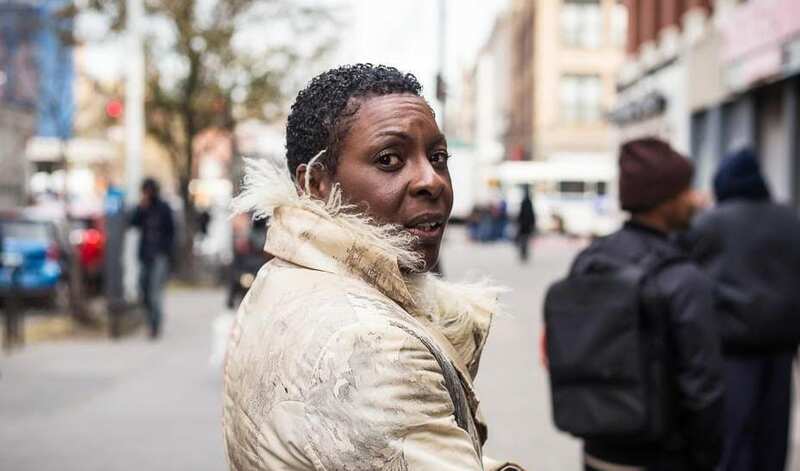 We grew to know her more when the New York Times wrote about her experiences on the river. From there we followed her blog, enjoyed having her join us as a Hermitage fellow and now we are getting ready to premiere her chamber music with members of our esteemed Orchestra. This presentation will be a great opportunity to meet and hear from one of the most imaginative new composers working today. Beglarian will play some of her music as well as speak about her experiences on the Mississippi. Camping out, meeting the people, learning the stories in the small riverfront communities were compelling, life-changing experiences. Friends flew in to share her journey, new acquaintances reading the blog joined her along the way. Beglarian could not have predicted all that transpired. The music includes not only the joy and exuberance of the journey, but sounds of nature she encountered along the way. The character of the trip is expressed in the entire composition. Don’t miss this opportunity to hear one of America’s leading contemporary composers speak about her incredible journey, show images, and play some of the music it inspired. To read the New York Times September 2, 2009 article about Eve’s Mississippi journey, click HERE. Hermitage Artist Retreat and the Greenfield Foundation are pleased to announce that the winner of the 2011 Greenfield Prize has been awarded this year in Drama to Playwright John Guare. The award will be presented at a Celebration dinner on Sunday, March 27th at Michael’s on East in Sarasota. 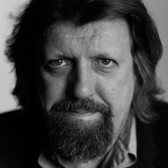 Oskar Eustis, Tony-award winning artistic director of New York’s Public Theatre, will be the keynote speaker. 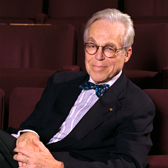 John Guare is an award-winning playwright well known to many regular theater-goers. Among his most recognized plays are Lydie Breeze; A Free Man of Color; Bosoms and Neglect; and The House of Blue Leaves, which won an Obie and NY Drama Critics Circle Award for the Best American Play of 1970-71 and four Tonys in its 1986 Lincoln Center revival. Six Degrees of Separation received the NY Drama Critics Circle Award in 1991 for its LCT production and the Olivier Best Play Award in 1993. Additionally, Guare wrote the lyrics and co-authored the book for the 1972 Tony-winning Best Musical, Two Gentlemen of Verona. His screenplay for Louis Malle’s Atlantic City earned him an Oscar nomination. In 2003 he won the PEN/Laura Pels Master Dramatist Award; in 2004, the Gold Medal in Drama from the American Academy of Arts and Letters; in 2005 the Obie for sustained excellence. He is a council member of the Dramatists Guild and co-editor of The Lincoln Center Theater Review. 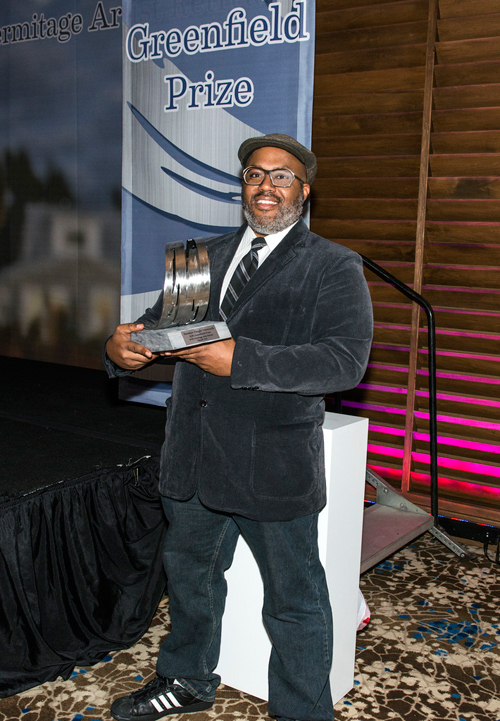 The Greenfield Prize winner is selected each year by a panel of experts in the arts discipline for that year’s award, which rotates annually through three arts areas, drama, music, and an open “wild card” year. 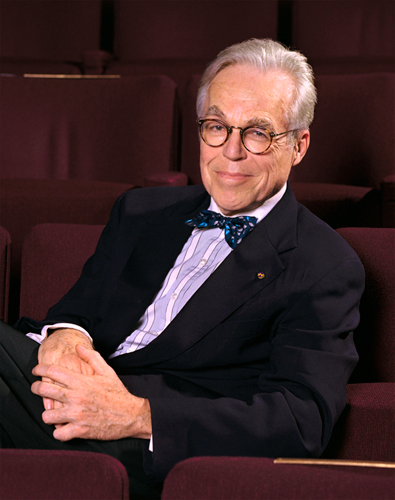 This year’s category was drama, making John Guare the second playwright to receive the Greenfield Prize. Guare was selected from a pool of over 30 playwrights, nominated by a prestigious jury, three voting and three non-voting. Voting jurors were Michael Bigelow Dixon, chair and current assistant professor of theater at Goucher College, former literary manager at the Guthrie Theatre and Actors Theatre of Louisville; Carey Perloff, artistic director of the American Conservatory Theater in San Francisco; and Eduardo Machado, playwright currently writing for HBO television, and past artistic director of INTAR in New York City. Non-voting members included Bruce E. Rodgers, executive director of the Hermitage Artist Retreat, Joni Greenfield, representing the Greenfield Foundation and Michael D. Edwards, producing artistic director of Asolo Rep. The Greenfield Prize was established in 2009 by longtime Sarasota residents Bob and Louise Greenfield through the Philadelphia-based Greenfield Foundation. The prize is a means by which a groundbreaking, enduring work of art will be created each year at the Hermitage Artist Retreat. The Prize consists of a $30,000 commission of an original work of art, a residency at the Hermitage, and a partnership with a professional arts organization to develop the work, and assistance in moving the work forward into the American arts world. A distinguished six-person panel consisting of some of the most highly respected authorities in American art select each Greenfield Prize recipient. Three voting members on each jury are joined by representatives of the producing partner, the Greenfield Foundation and the Hermitage Artist Retreat. Since its inception, past prize winners include playwright Craig Lucus, composer Eve Beglarian and visual artist Sanford Biggers.